The demi-parure was made by Mouawad, a Lebanese jewelry firm with headquarters in Geneva and Dubai. 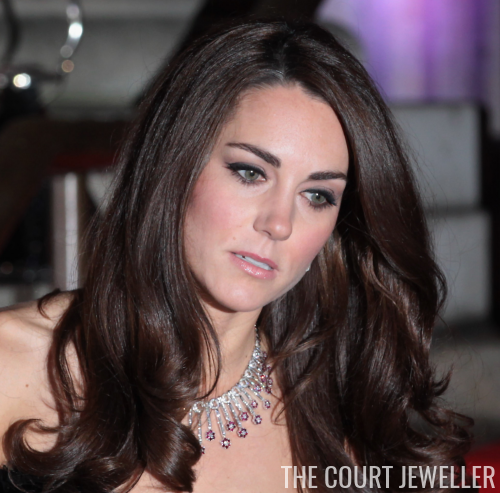 The pieces were reportedly one of Kate's wedding gifts, though we don't know the identity of the giver. The necklace is a modern fringe, with diamond circles that radiate out to diamond and ruby floral elements. 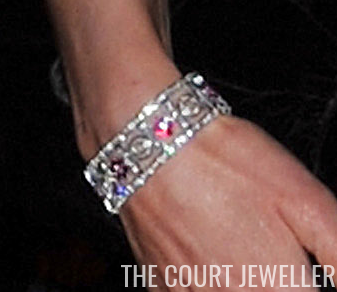 The coordinating bracelet features alternating diamond circles and diamond and ruby flowers. 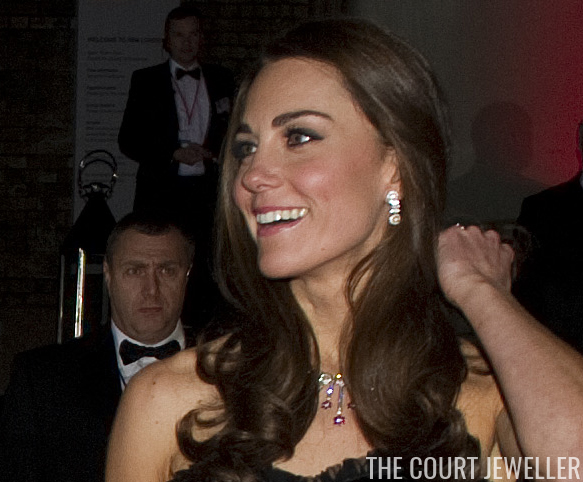 Kate wore her diamond cluster and baguette earrings with the Mouawad suite; these earrings belong to a different set of jewelry, and they have their own coordinating diamond bracelet. So far, the awards ceremony is the only time we've seen Kate don this set in public.